Please note: Thanks to the modern miracles of science and physics, this amazing statue can be displayed upside-down!City takes the difficulty to new heights. But being able to embrace your beloved while hanging upside down via grapnel-gun cable makes it all worthwhile. 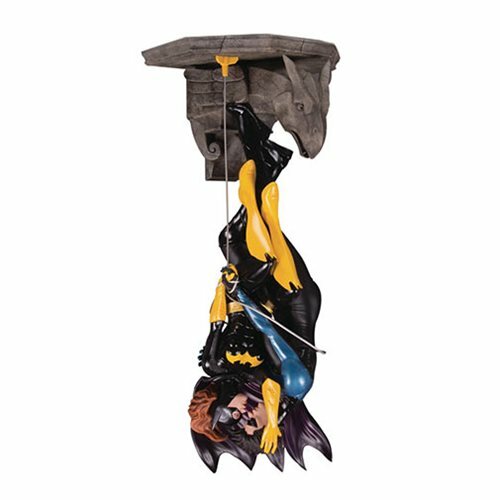 This statue is inspired by the art of Ryan Sook and is designed to stand upright or be mounted on a wall so the characters can hang inverted in their embrace. DC Designer Series statues are based on art from the comics industry's top creators and re-create their vision in vivid 3-D detail. The statue is a limited edition of 5,000 pieces and comes individually numbered. 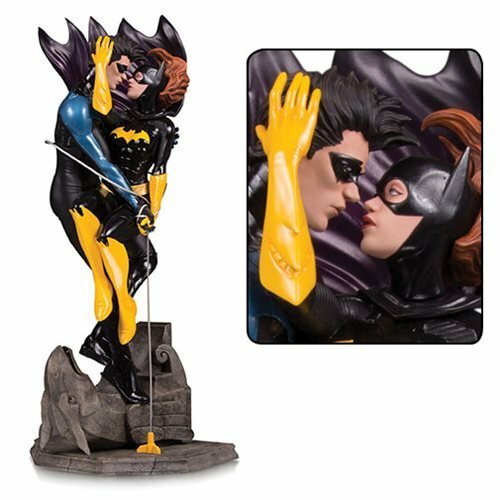 The DC Designer Series Nightwing and Batgirl by Ryan Sook Statue measures 13 3/4-inches tall. Ages 14 and up.